We've recently had many clients that come in concerned about their dog's breathing. In a few of the cases, it turned out to be episodes of something called a reverse sneeze. Most of us who own smaller breeds are used to these episodes, but some people haven't experienced it and it can be a scary thing to watch if you don't know what it is. Now, this article is in no way meant to prevent you from bringing your pet in. If you EVER have any concern about your pet's breathing bring them in immediately! Reverse sneezing can also mask potentially more serious problems, so you should always have one of our Doctors check them out. For those of you familiar with reverse sneezing, though, here's some extra information so you know exactly what your dog is going through and what you can do to help soothe them. What Exactly Is a Reverse Sneeze? 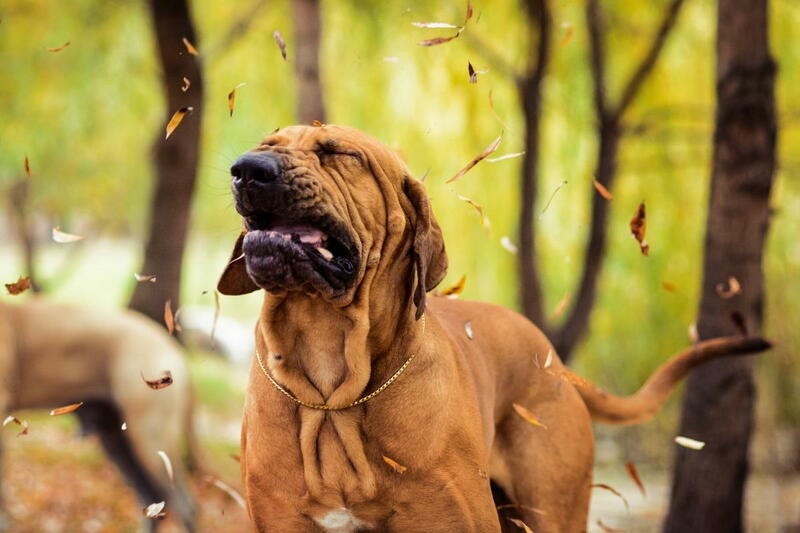 According to Dr. Richard Joseph, DVM, DACVIM , a reverse sneeze — also called a “backward sneeze” — is characterized by the "sudden onset of a dog extending his head and neck and making rapid inspiratory movements with the mouth closed that results in noises coming from the nasal passages." Although alarming, the episodes usually last only seconds but can feel much longer to us. Just like a regular sneeze there is an irritant in the nasal passages and this is a reflex to expel that irritation. The only difference is when a dog sneezes normally, he rapidly expels air, but during a reverse sneeze the dog is rapidly inhaling air. A few tips to help shorten the episode. Owning four Chihuahuas myself, I can tell you these tips usually work. With my own dogs the throat massage and talking softly to them seems to work best. And honestly, it makes me feel like I'm doing something to help. If the reverse sneeze does not stop or continually returns throughout the day, then bring them in. Usually this is indicative of an irritant in the nasal passage and may need to be evaluated by a doctor. If you have any questions call, email or swing by the clinic, we'll be happy to address any concerns you have!